Tuesday had been a wet day with only a few breaks in the heavy rain showers but come 7pm, the sun was venturing out and it promised to be a reasonably warm evening. I arrived early at the North Lake and introduced myself to the other early birds. With the air warm and muggy I was sure the water would be warm too. The small band grew as more and more arrived and I was introduced as their ‘guest’ swimmer. 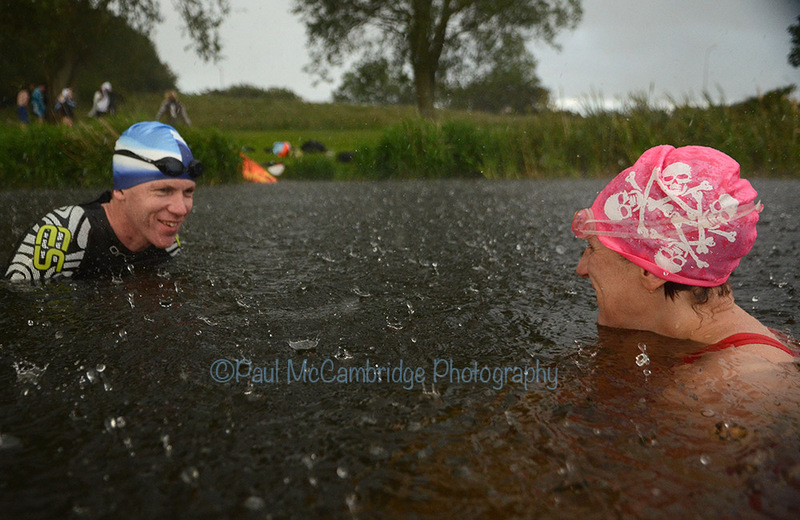 We stepped into the lake and soon got into an easy front crawl. A kayaker went on ahead to negotiate us around the heaviest patches of weeds. At times we almost had to crawl over this wiry, prickly stuff, pulling lumps of it out as it caught on wrists and watches. A few short patches of this were the only thing that would mar a very pleasant swim. With the evening sun breaking through the grey clouds, the tall reeds, their feathery heads stretching high above the waters edge, the scene had a dreamlike quality. As we returned to the shore on our third lap, the rain started and quickly became a downpour. I lifted my head and swam head up, fascinated by the drops hitting the surface so hard that they bounced back up forming thousands of what looked like pawns from a chess set – repeatedly formed and broken. Finally the rain began to ease and we tried vainly to seek shelter as we dressed under a tree. One swimmer said he’d been quite surprised to look back and see “a nudey person behind me!” So used to the black arms of wetsuits, a bare arm was easily spotted. 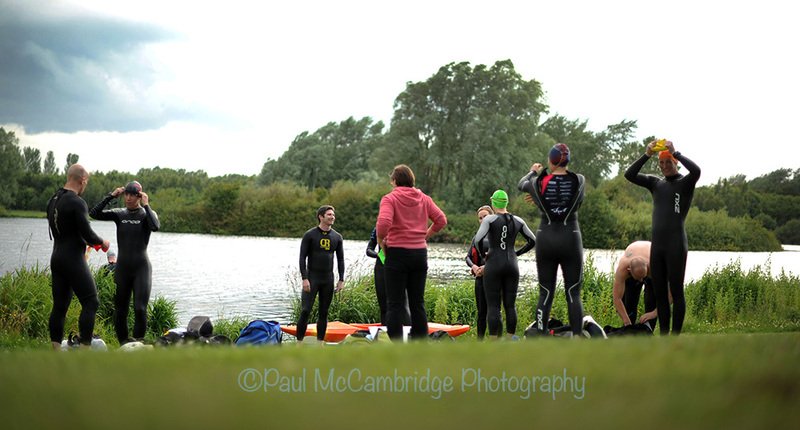 Tuna Triathlon Club now use the South lake on a Monday evening at 7.00pm from the sports centre. I swam as their guest but the club website does ask for all swimmers to be members, wear their wetsuit and have completed at least a 1500m continuous swim in the pool. Check out www.tunatriathlon.org for club information. See map below for entry point. This entry was posted in Wild Swimming, Wild Swimming Ireland and tagged Armagh, Boy, Co. Armagh, Craigavon, girl, Goggles, Ireland, lake, lough, Lurgan, Maureen McCoy, Mo McCoy, Paul McCambridge, Rain, swim, Swimmers, swimming, Triathlete, Trisuit, Tunatriathlon, water, Wetsuit, wild, wild swim by wildswims. Bookmark the permalink. That was a great evening! We’d have you back anytime, Maureen! Love the photos and the description.